Tamil Nadu Teachers Recruitment Board (TN TRB) has released the tentative answer key for the written examination for the direct recruitment for the post of Lecturers in Government Polytechnic Colleges which was conducted on September 16, 2017. New Delhi: Tamil Nadu Teachers Recruitment Board (TN TRB) has released the tentative answer key for the written examination for the direct recruitment for the post of Lecturers in Government Polytechnic Colleges which was conducted on September 16, 2017. The answer keys of written examination of this lecturers in Government Polytechnic Colleges recruitment can be accessed from the official website of TN TRB. More than lakh candidates appeared for the lecturer in Government Polytechnic Colleges written examination conducted by TN TRB. The Board has released the tentative key answers today. Candidates are given time upto October 12 to submit their representations, if any, regarding objections on the tentative answer keys published, along with the proof for the disputed answer keys, in the given format. Their representations regarding the objections may be sent through post or may be dropped in the Box provided at Teachers Recruitment Board's information centre to reach this office on or before October 12 upto 5.30 pm. For any objections regarding the answer keys of the written exam conducted for the recruitment of lectures in Government Polytechnic Colleges of Tamil Nadu, candidates should give proof from standard Text Books only. Guides, Correspondence Course materials and nonstandard books are not permissible. The board said that separate format should be used for each question. The format to raise objections has been given on the TN TRB website. "Utmost care has been taken in preparing the tentative key answers list and in publishing it. Teachers Recruitment Board reserves the right to correct any errors that may have crept in. Incorrect tentative key answer would not confer any right of enforcement," said TN TRB on the answer keys published for the written examination conducted for the recruitment of lecturers in Government Polytechnic Colleges. 1,33,567 candidates appeared for the written examination. 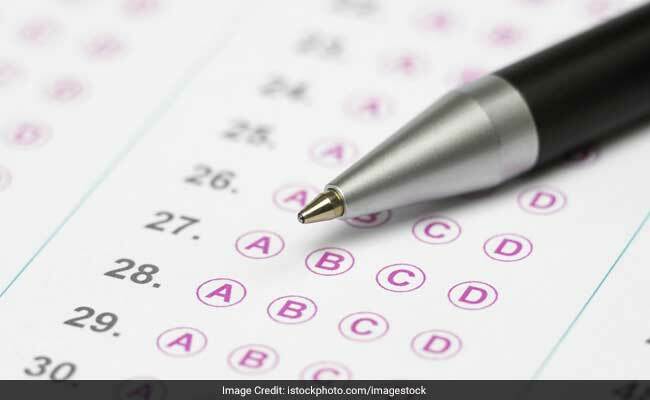 The TN TRB has published the answer keys of these papers: Civil, Mechanic, EEE, ECE, ICE, Computer Science, Information Technology, Production Engineering, Textile Technology, Printing Technology, English, Mathematics, Physics, Chemistry and Modern Office Practice. Tamil Nadu Teachers Recruitment Board (TN TRB) is also expected to release the answer keys of the exam conducted the recruitment of Special Teachers on 23 September 2017.